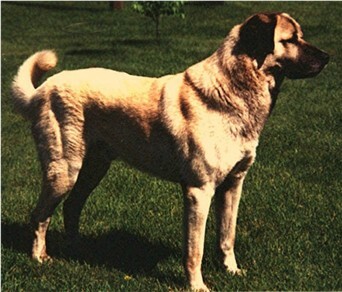 Kahn, a male, is an ASDCA CHAMPION, SKC CHAMPION, and IMF CHAMPION. 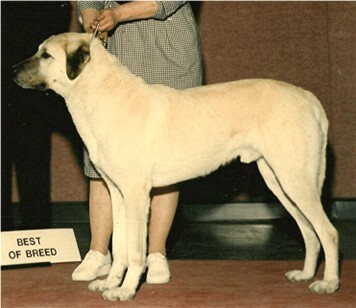 On September 25, 1999, at 11 years of age, Khan took BEST OF BREED at the AKC/ASDCA National Speciality, in Atlanta, Georgia. Khan's hips are OFA GOOD ANS 164G27M. Kahn weighs 135 pounds and is 32 inches at the shoulder. He is fawn with a black mask. 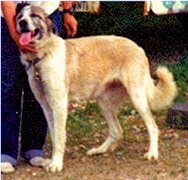 Born on May 5, 1988, his AKC Registration Number is Reg # WP691958/02 (07-96) (FDS).